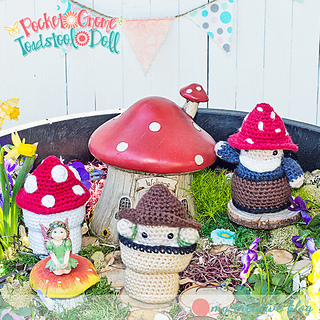 This fun little pattern was inspired from my Garden Fairy Flower Pot Doll. 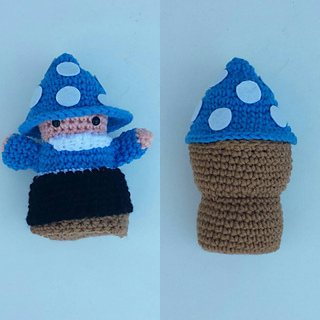 This was my original concept for a Gnome Doll, but then when I went to create it, I decided to mirror it after my other dolls. 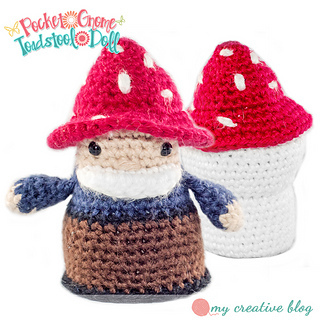 After making my Garden Gnome Toadstool Doll, though, I thought this pocket size one that I had envisioned to begin would be super adorable. So I had to make it, too. 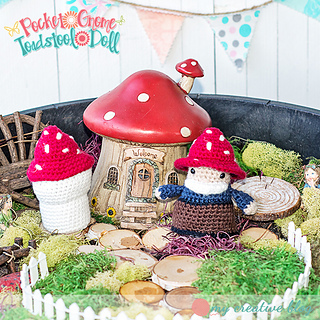 Every whimsical, fun loving Garden Fairy needs a cute little Gnome as her friend. 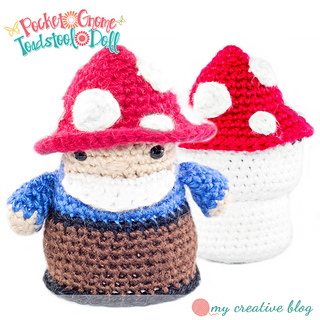 He is a fun Garden Gnome that can turn into a Toadstool Mushroom and hide amongst the garden with his fairy friends. 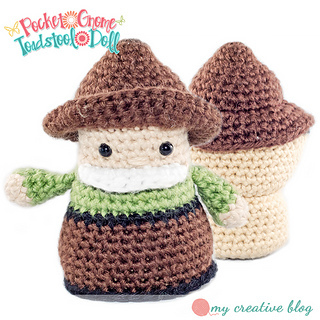 Some have called it a Topsy-Turvy, reversible, or 2 in 1 doll. This pattern was fully tested by testers with varying levels of experience. This pattern is written in American Standard Terms. I have used photographs to help with instructions throughout. A printer friendly version will also be included. Includes a Print Friendly version. Instant digital download - ready to download immediately after the payment . 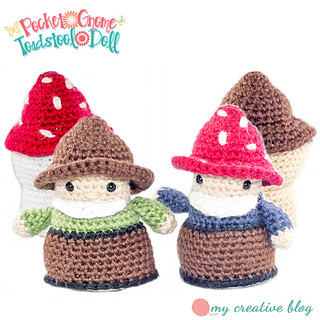 You will see the download link in details of your order. 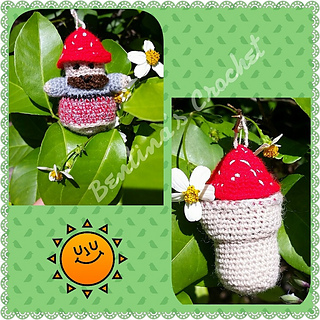 link to the pattern with credit for the design. Thank you!